John Barnes: April and January (1981). Dale Carlson: January (1980), May, September, and December. Elladan Ellrohir (real name: Kenneth Rahman): February and November. Rahman, apart from artwork under several different guises, co-designed TSR’s Divine Right and Knights of Camelot games. 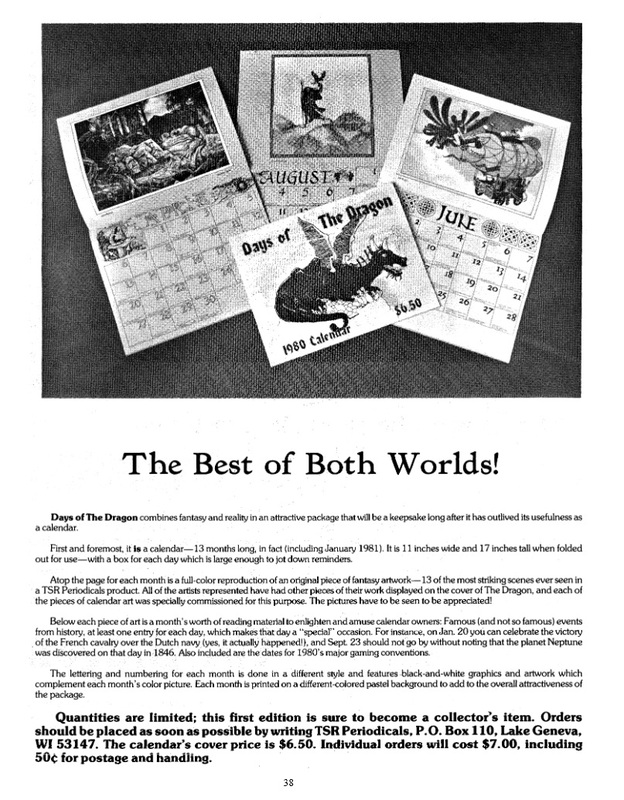 Bill Hannan: front cover (from Dragon #1), July, and October. Dean Morrisey: March and August. The incomparable Darlene did the titles and title illustrations. With due respect to the other artists, that’s what I want to see most. 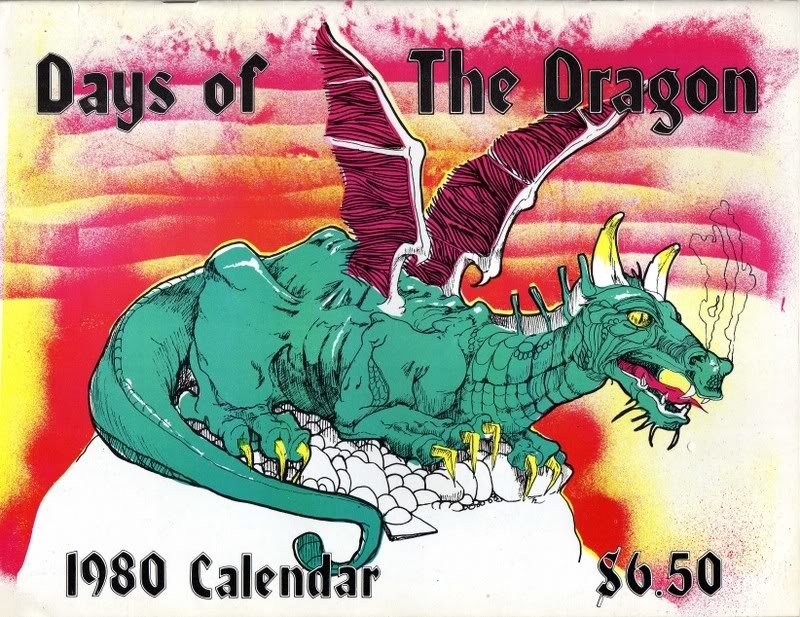 I thought the first Dragon calendar came out in ’79, but I can’t seem to find any evidence. I think there was a 1979 calendar. I seem to remember the cover picture was of a bunch of heroes, in the middle of some vast arena, with a bunch of dragons flying in through a keyhole shape in the far wall. I’ll have to check some early The Dragon mags to see if I can find some mention of it.